Superdry women’s Riley skater skirt. 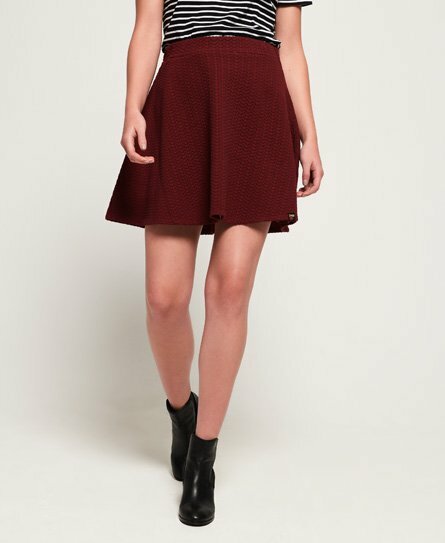 Pair this textured skater skirt with a lace top and heels for a great day to night look. This skirt is in a flattering fit and features a Superdry tab on the hem.